A wireless network has become a necessity for most people. It helps people communicate as well as access the Internet without being pulled back by wires. Wireless communication allows one to socialize, send e-mails, surf the Internet as well as work from anywhere in the room, building as well as city. There are different types of wireless communications available today. Using this wireless network different communication occurs between devices. These devices include computers, laptops, tablets, mobile phones, printers, servers, etc. Let us learn more about the types of wireless communication. A group of devices that are connected to one another is called as a network. Usually radio communication is the common way for wireless networks to communicate. There are different technologies under the radio-powered subset that helps use different scales, topologies, etc. The PAN as the name suggests is a personal network. It is within the reach of a person and requires cable replacement for peripherals. Usually the Bluetooth, NFC, ZigBee come under the Personal Area Network. The LAN is a network that has a range within a building or a campus. It is a wireless extension of wired network and uses IEEE 802.11 (WiFi) standard. 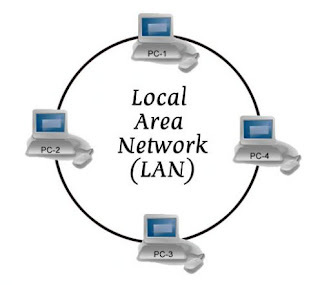 The metropolitan area network has a range within a city. It involves wireless inter-network connectivity and uses IEEE 802.15 (WiMAX) standard. The WAN has a worldwide range and has a wireless network access. It is usually UMTS, LTE, etc. that use the WAN. The above classification of types of wireless communication helps you note the high-level difference in each of the technologies. Each standard continues to evolve and get better. Some use faster processors, few have improved modulation algorithms, and other continue to advance according to each individual wireless standard.